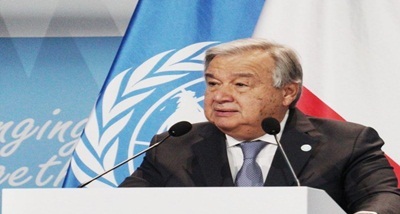 UN Secretary-General António Guterres has said radio is a powerful tool even in today’s world of digital communications. In his message on the eighth World Radio Day to be celebrated February 13, he said radio reaches more people than any other media platform. Talking about the importance of the Radio, he said it conveys vital information and raises awareness on important issues. He said it is a personal, interactive platform where people can air their views, concerns, and grievances. Mr Guterres added that the radio can create a community. On UN peacekeeping operations, he said radio is a vital way of informing, reuniting and empowering people affected by war. He said the power of radio to promote dialogue, tolerance and peace should be duly recognized by the governments world over.